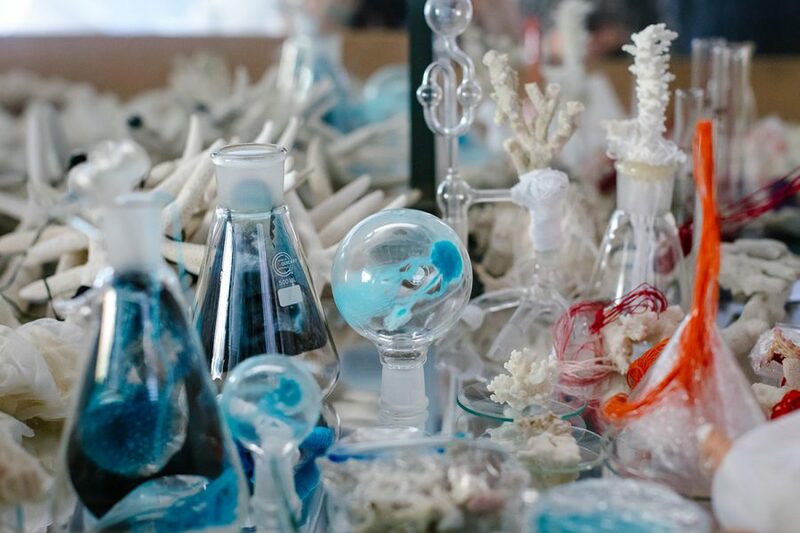 Janet Laurence, Deep Breathing: Resuscitation for the Reef, 2015–16 / 2019 (detail), image courtesy and © the artist, photograph: Jacquie Manning. 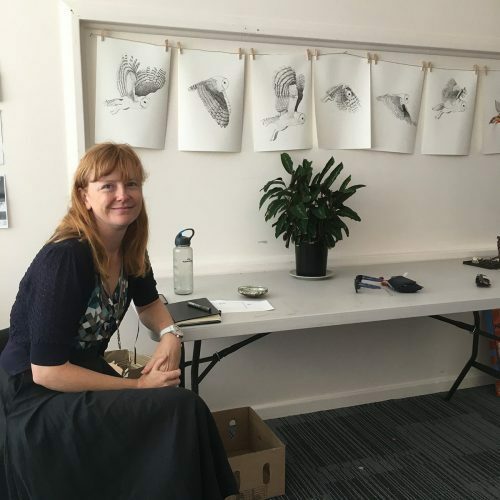 Janet Laurence’s studio, photograph: Jacquie Manning. 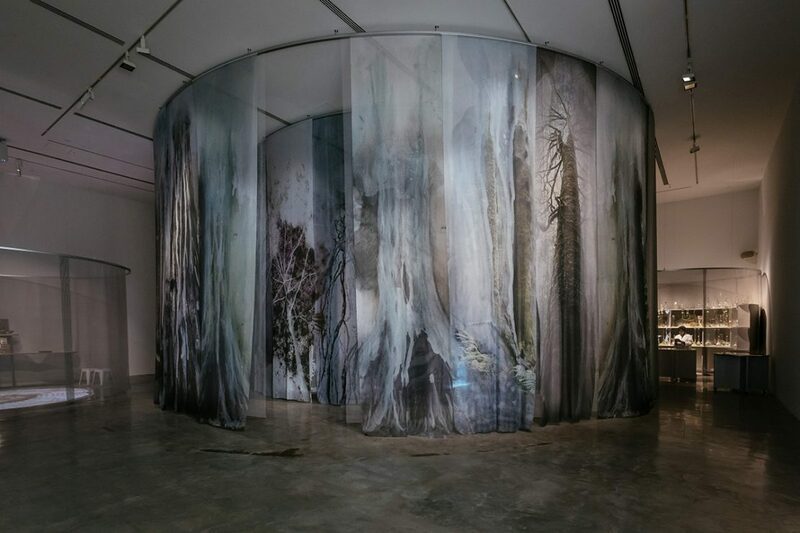 Janet Laurence, Heartshock (After Nature), 2008 / 2019, installation view, Janet Laurence: After Nature, Museum of Contemporary Art Australia, Sydney, 2019, image courtesy and © the artist, photograph: Jacquie Manning. 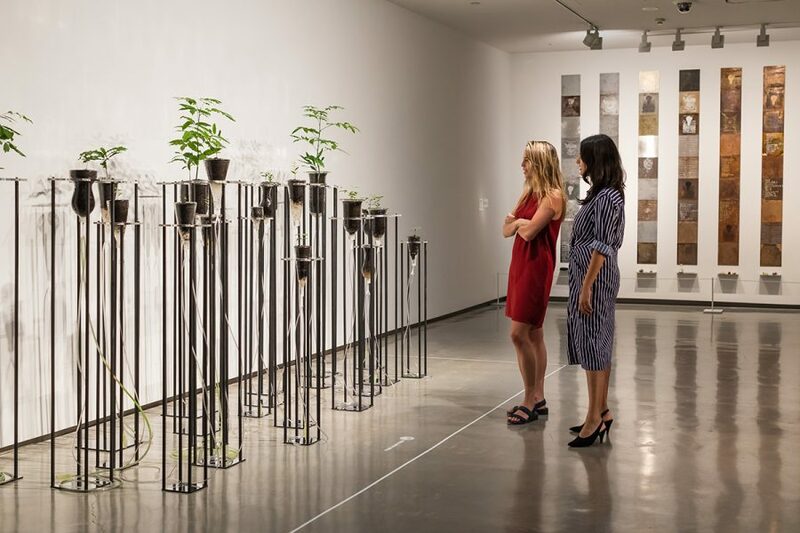 Left to right: Janet Laurence, Cellular Gardens (Where Breathing Begins), 2005, installation view, Janet Laurence: After Nature, Museum of Contemporary Art Australia, Sydney, 2019, image courtesy and © the artist, photograph: Jacquie Manning. 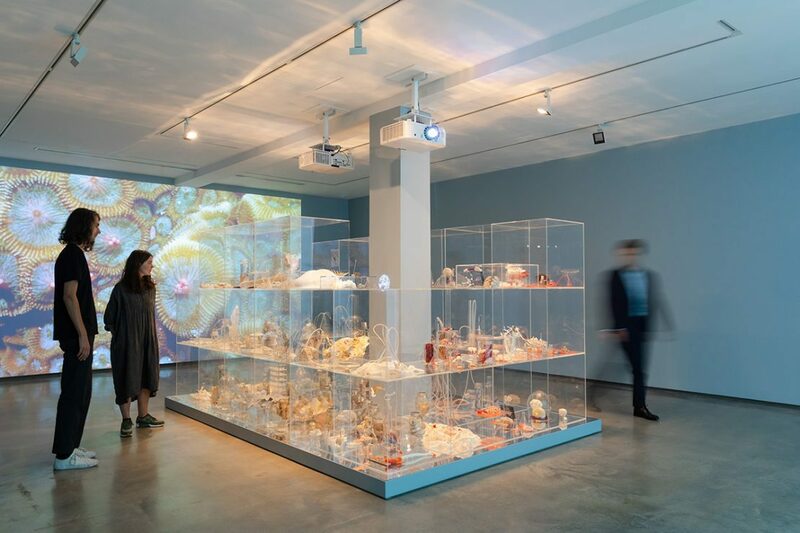 Janet Laurence, Deep Breathing: Resuscitation for the Reef, 2015–16 / 2019, installation view, Janet Laurence: After Nature, Museum of Contemporary Art Australia, Sydney, 2019, image courtesy and © the artist, photograph: Jacquie Manning. 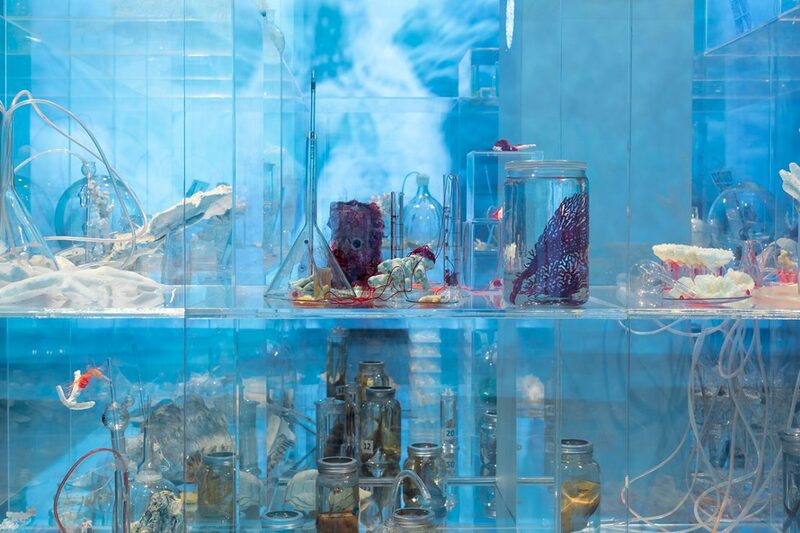 Janet Laurence, Deep Breathing: Resuscitation for the Reef, 2015–16 / 2019, image courtesy and © the artist, photograph: Jacquie Manning. 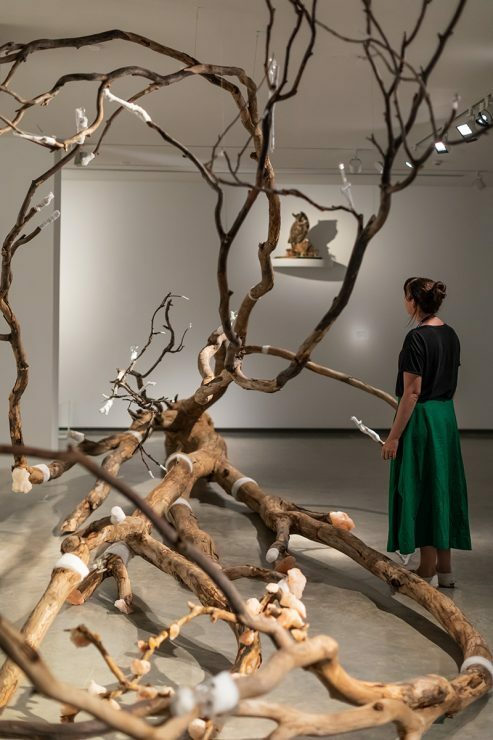 Janet Laurence, Knowledge (Tree of Life), 2018–19, installation view, Janet Laurence: After Nature, Museum of Contemporary Art Australia, Sydney, 2019, image courtesy the Museum of Contemporary Art Australia © the artist, photograph: Jacquie Manning. Janet Laurence, Forest (Theatre of Trees), 2018–19, installation view, Janet Laurence: After Nature, Museum of Contemporary Art Australia, Sydney, 2019, image courtesy and © the artist, photograph: Jacquie Manning. 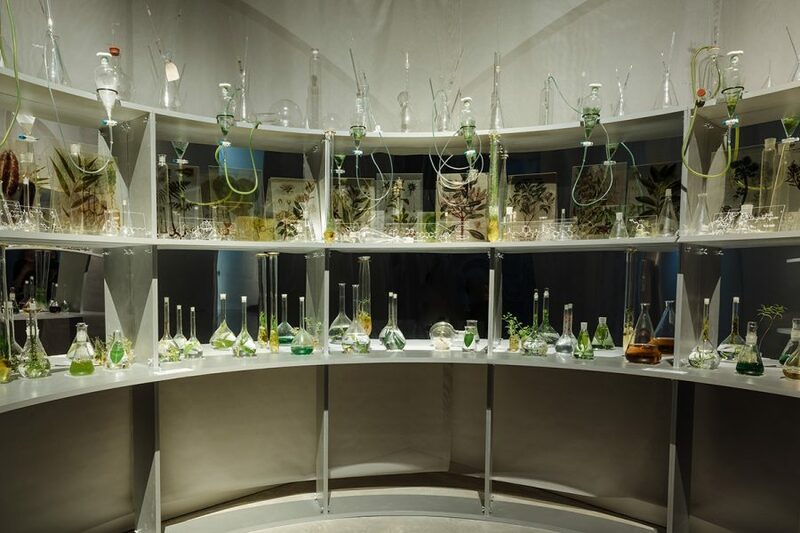 Janet Laurence, Desire (Elixir Lab), 2018–19, installation view, Janet Laurence: After Nature, Museum of Contemporary Art Australia, Sydney, 2019, image courtesy the Museum of Contemporary Art Australia © the artist, photograph: Jacquie Manning. 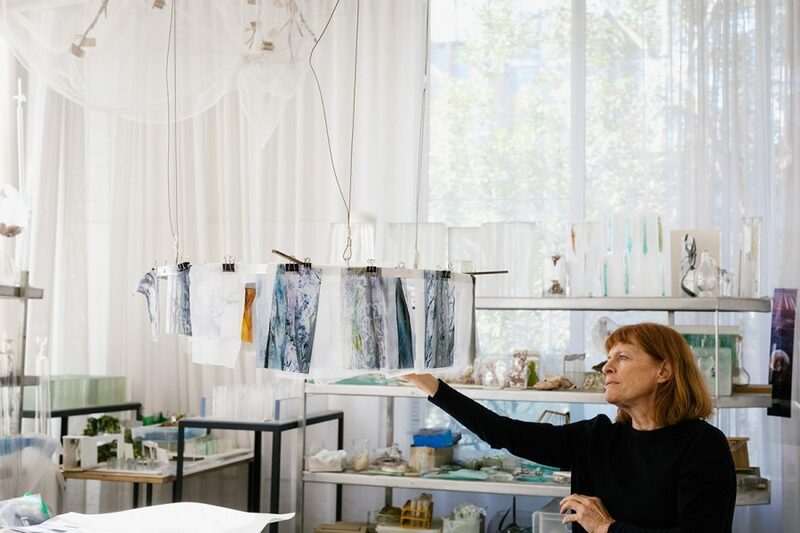 Janet Laurence’s survey show at the Museum of Contemporary Art Australia, After Nature, occupies two large galleries: one on either side of the entrance foyer. I chose to start in the smaller, darker of the two. This dim space is divided into round ‘rooms’ by long gauzy curtains. 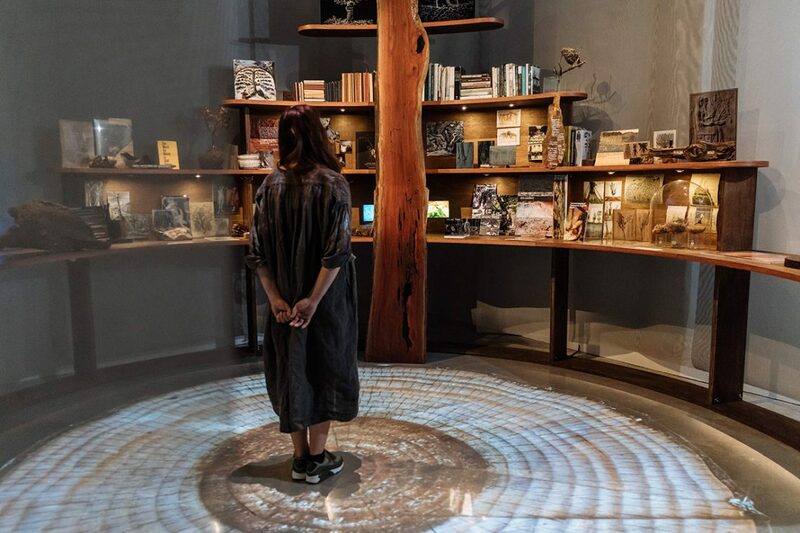 At first I thought perhaps I had gone the wrong way – entering rather than exiting (as Banksy would have it) through the gift shop – for the first circular enclosure I found myself in looked, at first glance at least, like a high-end, eco themed boutique. 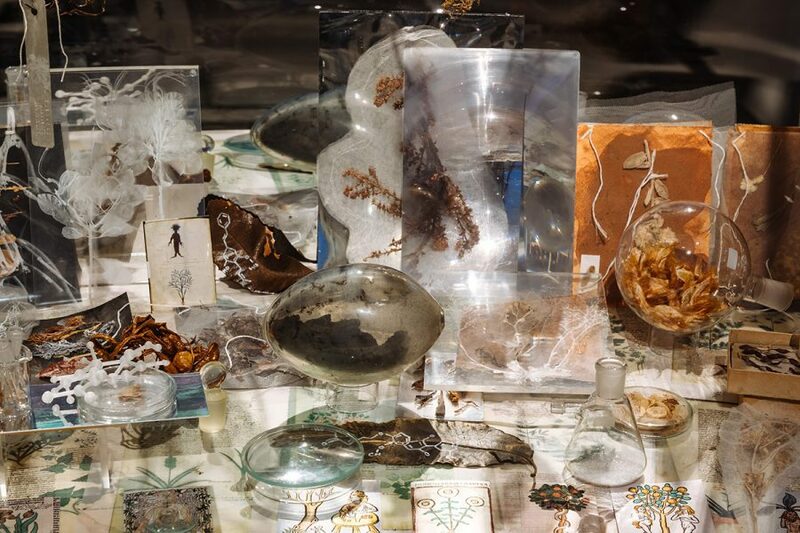 Janet Laurence, Wonder (Herbarium) (detail), 2018–19, installation view, Janet Laurence: After Nature, Museum of Contemporary Art Australia, Sydney, 2019, collection of the artist, image courtesy the Museum of Contemporary Art Australia © the artist, photograph: Jacquie Manning. 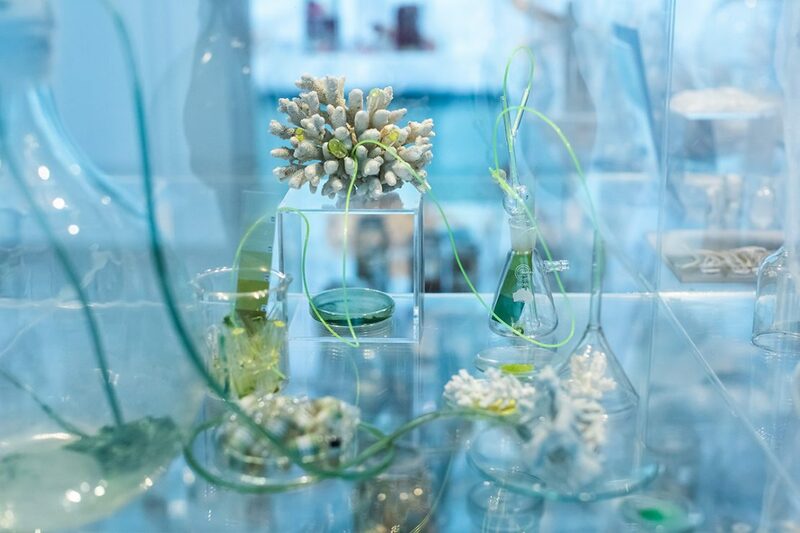 Shelves hewn from huge slabs of wood supported rows of books on nature, little screens playing videos, and small desirable items such as bird’s nests under a glass cloche, a taxidermied owl, crystals, sculptures of miniature trees, dried leaves, and black-and-white images of flora and fauna printed on mirrored Perspex. But the aim of this installation is epistemological. 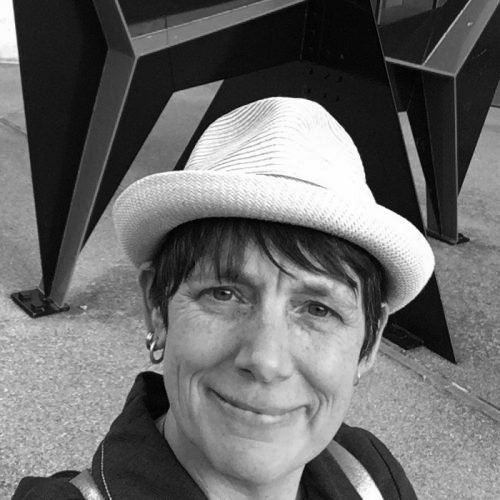 Titled Knowledge (Tree of Life), 2018-2019, the artist hopes to encourage knowledge acquisition, not retail therapy. In fact, the show as a whole has a strong didactic bent. 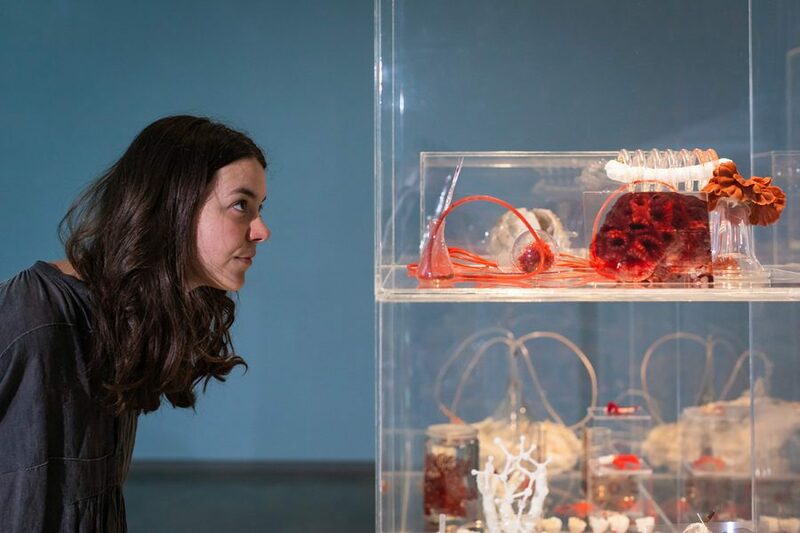 Learning resources offered by the MCA are divided into three themes: interconnectedness and empathy, materials and matter, and planet in peril. And during the hour I spent in the exhibition three different tours – representing a broad cross-section of society: school children, retirees, and mothers with small babies – all passed through using Laurence’s beautiful glittering installations of laboratory glass, displays of dead birds, dried coral or living plants, videos and other mixed-media artworks as prompts to consider these issues. The largest piece in the bigger, brighter exhibition space is a fallen tree wrapped in gauze bandages and scattered with pink crystals of rock salt. But it is clearly too late for healing this particular specimen. Titled Heartshock (After nature), 2008/2019, this tree was a casualty of catastrophic drought. We, the gallery visitors, are invited to mourn its death as a tragedy, which of course it is. When we look at this fallen giant we see a victim of anthropogenic climate change and we may, justifiably, feel both grief and guilt. But the death of a tree, like the death of all living things, is not exactly the end; it is part of an ongoing cycle of birth and death, decay and renewal. A dead tree plays just as active a role in the ecosystem as a living one. It becomes nourishment for untold itty-bitty microbes invisible to the naked eye as well as numerous fungi. Insects too join in this feast. And as these small organisms eat their fill it becomes hollow, providing habitat for birds, possums and other native animals. Placed in the gallery the importance of this tree, and our interconnection with it, may be highlighted, but the cycle is broken. So I can’t help but wondering, after the show will the artist return this dead tree to the Australian Botanic Gardens at Mount Annan where she found it, so that it can fulfil its vital role in the ecosystem? 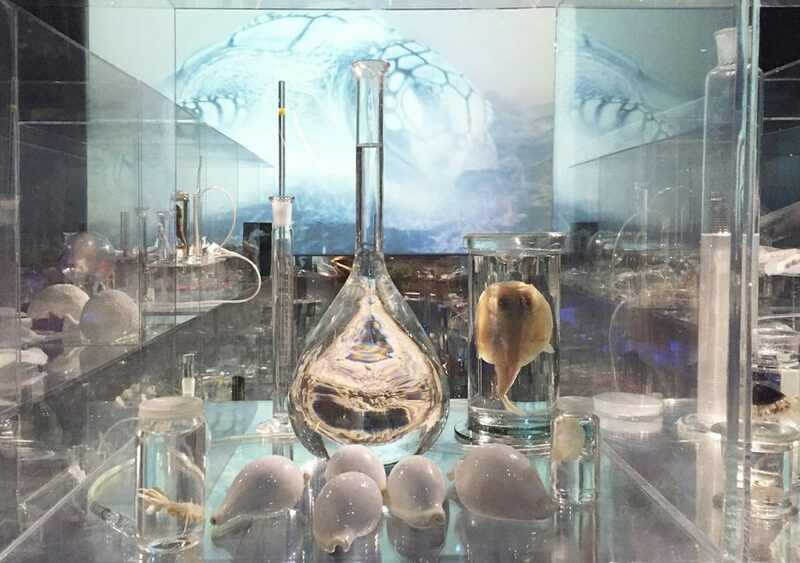 Janet Laurence, Deep Breathing: Resuscitation for the Reef (detail), 2015–16, installation view, Muséum National D’histoire Naturelle, Paris, 2015, various wet specimens, corals, pigment, acrylic boxes, laboratory glass, collection of the artist, image courtesy and © the artist. After Nature is filled with works that are aesthetically alluring and spectacular in scale. But my favourite piece was both simple and subtle. For her video, Vanishing, 2009, Laurence filmed threatened mammal species at Taronga Zoo in Sydney. Using close-up shots and a monochromatic palette, we see the flanks of animals (such as a snow leopard, sloth and giraffe) rise and fall as we hear them breathe. The work is truly meditative as we literally concentrate on the breath. These animals are poised on the verge of extinction. As we watch and listen to them sucking in oxygen, we see them simply trying to survive in difficult times – as are we all. 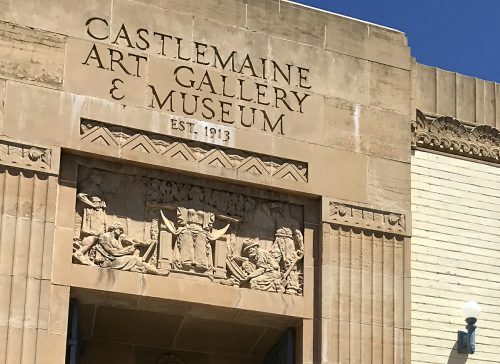 The century-old Castlemaine Art Museum (CAM) will be closing its doors this August due to ongoing financial pressures, falling revenue and rising maintenance costs.